Welcome to the leading garage door repair and installation company in San Diego! We are glad that you stopped by and we are happy to help with all of your garage door service needs. We specialize in installation and all types of repairs for garage door units. We also are well-known in the area for being the company to carry some of the best garage door openers in the industry! 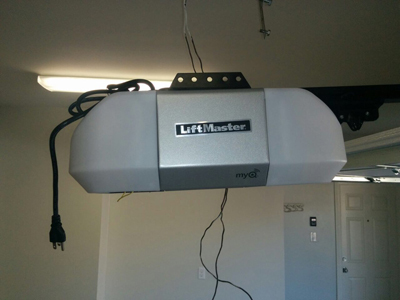 We know it can be very confusing to make an original purchase for a garage door opener. We go over all of the options for you so that you can choose the system that will best meet your individual preferences and needs. We offer no-pressure sales and give you an opportunity to compare product prices and features so that you are confident with your decision before you purchase your garage door opener. In addition to being the best in garage door opener sales, our San Diego Company performs excellent repair service to tackle any problems commonly associated with garage doors. If your garage door is beyond repair, we can handle that too. If need be, we can effectively replace your entire garage door and restore your electric garage door system operation if necessary. We provide services that match perfectly with your garage door needs. We offer outstanding warranties on all of our garage doors and other products. Our San Diego Company believes that it is important to keep your electric garage door system running properly. We offer maintenance programs to make it easy to care for your garage door and to ensure that your system functions well for years to come. Whether you are looking for a new garage door opener or have an emergency garage door repair need, we hope you will check out our company and see what we have to offer. We have many satisfied customers who count on us for repairs and regular maintenance of their garage door service needs. We would love to add you to our list of satisfied customers who put their trust in us. We are happy to serve you. Call us today!